Our product range includes a wide range of plastic shampoo bottles for cosmetic. Used for storage of various types of cosmetic products, the rendered Plastic Shampoo Bottles for Cosmetic is rendered by us in various sizes and designs. By using advanced machinery, we manufacture and develop the rendered plastic shampoo bottles for cosmetic. The plastic shampoo bottles for cosmetic can be customized. 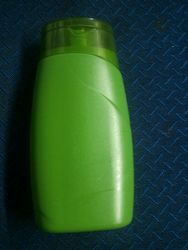 Looking for Plastic Shampoo Bottles For Cosmetic ?